Kids these days freak me out, especially when it comes to technology. E’s two year old niece has understood how an iPhone works since before she was walking, most tweens are more technologically advanced than the next twenty something and there is always some form of new tech on the market (I still don’t understand how an Apple Watch works)! Back in my day (now I sound old) my siblings and I weren’t allowed mobile phones until we were working weekend jobs to pay for our own credit, we had one computer in our house that we had to take turns on if we wanted to play on or browse the dial up Internet, and video game consoles were just that, consoles to play on. No connecting to the Internet to verse strangers, no headsets or chat, just good old fashioned fun. 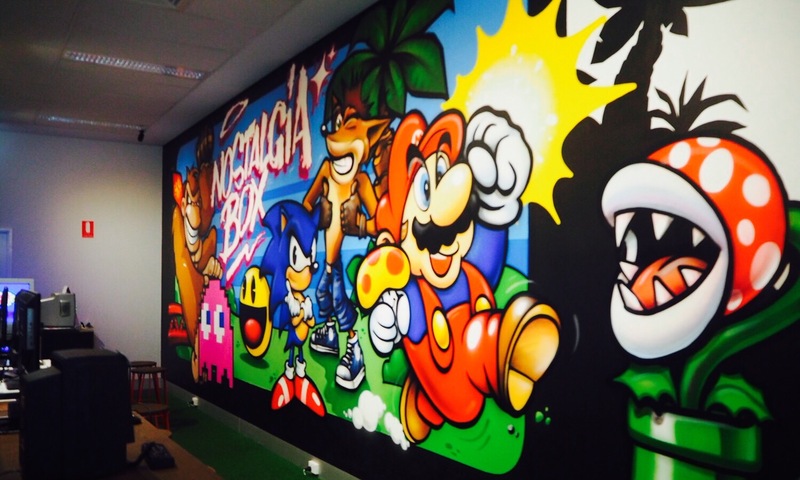 And that is why I was delighted to be invited to check out Perth’s one and only video game museum and gamers hub The Nostaglia Box in Northbridge a few weeks back. As the name suggests the relatively new small business is all about nostalgia, bringing back memories of the past for the gamer geek in all of us. I couldn’t leave E at home for this blog adventure, she’s a huge vintage video game fan from way back and this was probably the most exciting blog related activity (in her words) that she’s ever experienced with me. E’s nephew R also tagged along, because of course we had to show a 14 year old some of the games we grew up with! Showcasing over 100 consoles from over the years, plus a variety of consoles to actually play the vintage games on, visiting this spot was such a great morning out! E, R and I began our experience with the museum tour. I thought I knew a little bit about gaming but how wrong I was! Some of the consoles dated way back to well before I was born (if you can even call them consoles) and we were particularly intrigued by a strange device which literally consisted of two “knobs” on a board that you’d connect to your old school television and play with. I have no idea what you’d play with two knobs (no buttons, no joy sticks, just knobs) but I’m sure it was a hoot back in the day. E’s nephew was flabbergasted by the old school consoles, they made less sense to him than they did to us! Gen Y, hahaha. 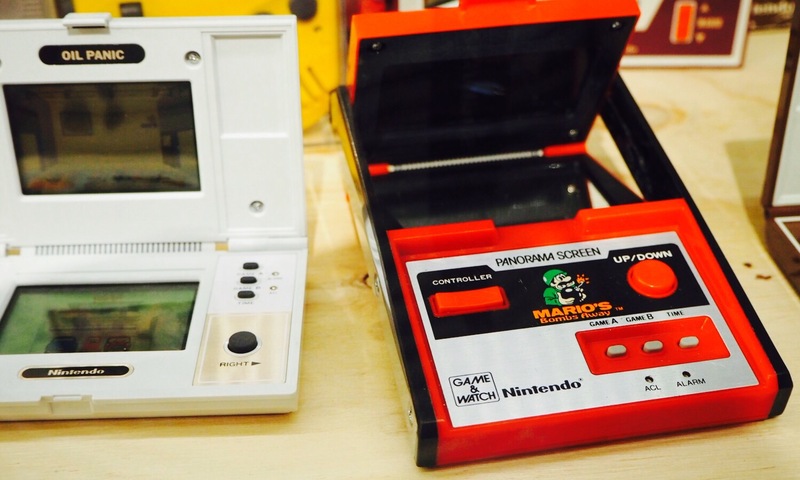 Besides the very old school consoles we reminisced about the past when we spotted the iconic Game Boy on display. I remember back to when I was in my tweens and both my brother and sister had a Game Boy each and they’d spend hours playing Pokemon together via a cable! I “wasn’t allowed” to play just incase I saved over their games. I cannot count how many times I started Pokemon Blue from the beginning, hoping I’d somehow be able to save my game instead of starting all over again the next day. That never happened, haha. After exploring and reminiscing it was time for the best bit – gaming time! As children we were lucky enough to have a father who was very into technology so we pretty much got a PlayStation 1 as soon as it was released. As soon as I saw the PS1 at Nostalgia Box I knew that was where I’d spend my morning. My favourite game as a youth was Crash Bandicoot and luckily owner Jessie had a copy of the cult game behind the counter for me to play. If you do visit and have a game in mind feel free to ask the staff if they have your game available, according to their “catalogue” they have almost every game imaginable! While I passed the first ten levels of Crash (it’s funny how it all came flooding back), E and R versed their way through old school Donkey Kong – poor R struggled to find his flow on the console controls – so funny how much tech has changed in such a short amount of time! 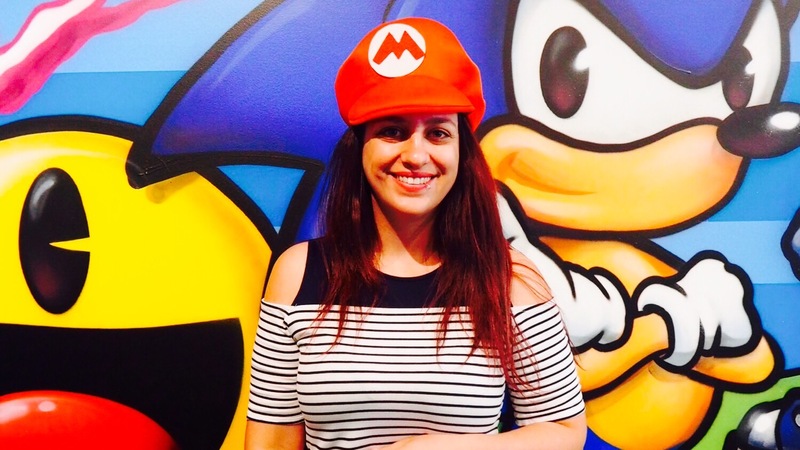 We then battled it out over Pong on a very old console – unfortunately R owned me on that one! Sore loser right here! Whilst R and I played, E actually managed to purchase her own ancient N64 to take home. The Nostalgia Box actually has consoles and retro games for sale too so if you’re a bit of a hobbyist don’t forget your wallet! 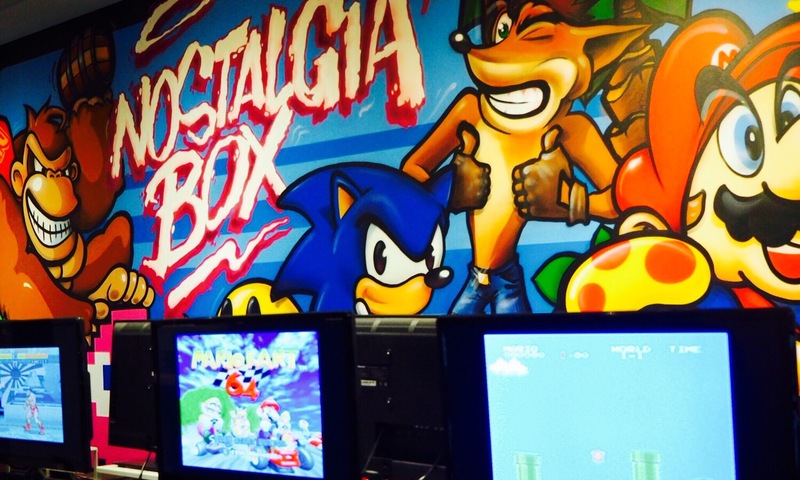 The Nostalgia Box is tucked away on Aberdeen Street near the TAFE and is open seven days a week from 9.30-5pm. Adults are a tiny $14 for us much gaming time as you like, while kids are $10, those under five are free. It’s a wonderful experience for all ages and it was so nice to step back in time for the morning to the days when life was simpler and all you had to worry about was how long it was until your next turn on the PlayStation. Huge thanks to the team for having us, we will be back very soon! Are you a gaming nerd? What was your favourite game as a child? Haha fun!! Showing my age here, have actually played an Activision console (the TV knob thing) and it was good fun. I would want a go at Alex Kidd on the Sega Master System II, Super Mario World on the Super Nintendo and Tekken 2 on the OG Playstation. And if we’re talking handhelds, then I wound the clock several times on Donkey Kong Jr!! Hahahaha thanks for confirming the name of the knob tv thingy! We also loved Tekken as kids! I’m such a big kid, we loved it! Plaque Attack was one I loved,,,ancient game. Love Crash Bandicoot too. I have fond memories playing on my gameboy as a kid too. I remember picking it out in Kmart I think it was – I had birthday money to spend and they had a sale. No idea where it is now! This would be such a fun place to visit – will do next time I’m in Perth! Previous PostWinter work wear essentials you need this season! Next PostThree new Victoria Park restaurants to add to your wish list!